Can Mind Spa Mentor Hypnosis programs motivate me to breakthrough my unknown, subconscious blocks to succeed in achieving my goals? Can hypnosis make me reveal personal secrets? Can the hypnotist make me do crazy things? Can the hypnotist control me or my thoughts? Am I powerless under the hypnotist’s spell? Will hypnosis conflict with the integrity of my values? Will I simply fall asleep? Can I get lost or stuck in hypnosis? Will I remember the suggestions given for effective results? Mind Spa Mentor hypnosis programs blend clinical hypnosis with advanced neuro-linguistics techniques, hypno-coaching,™ mindful hypnotics,™ with energy tapping, access consciousness,™ and positive psychology exercises in life/career coaching to access 100% of your mind (conscious and unconscious), for whole brain thinking. This focused approach to goal success adds extra advantage in accessing the power of your complete mind, to help you achieve more than you thought possible – more easily, quickly, and effectively than traditional life coaching or basic hypnosis alone. Mind Spa Mentor hypnosis programs utilize the latest, most advanced techniques in the hypnotic field of neuro-linguistics, EFT, and positive psychology coaching. All hypnosis is self-hypnosis, so almost anyone who has the desire to be hypnotized and is willing to follow simple instructions can achieve a state of hypnosis. It can be more difficult for the very old, the very young , the mentally challenged, psychotic, or severely detached person to achieve a state of hypnosis. 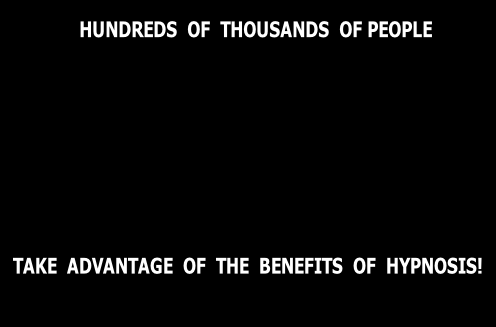 Anyone of average intelligence can achieve at least one of the levels of hypnosis (light-medium-deep-ultra-depth). The only thing preventing you from going into hypnosis is the thought, “I can’t be hypnotized.” The greater the intelligence, concentration and focus leads to increased motivation to succeed, thus the better the hypnotic experience. A hypnotized person will not spontaneously or voluntarily reveal any private, intimate or family secrets that he/she would not tell while in the normal waking conscious state of mind. Hypnosis is not a truth serum that causes a hypnotized person incapable of lying, thus it is usually not admissible in a court of law. However, hypnosis is often used for memory recall of information and events. You will not voluntarily tell, nor by instruction reveal, any secrets during hypnosis. You can and will keep any embarrassing or confidential information totally private and completely to yourself. If you have ever seen a hypnosis show on stage or television, people are often doing silly, outrageous and funny things. The stage hypnotist’s suggestions are not irresistible... this is Hollywood fiction. Do you want to be part of a show for an audience? People volunteer on stage for fun, and enjoy participating those suggestions. Their performances are exaggerated for special effect. These demonstrations are done for entertainment only. You retain the power to reject any unsuitable or inappropriate suggestions or keep suggestions that support your goals. The ability to be hypnotized is a subjective experience based on your comfort, rapport, and trust in the Hypnotherapist, combined with your willingness to follow suggestion, and receptivity to relaxation. The Hypnotherapist acts only as a tour guide to your unconscious mind, therefore, it is your will and choice to respond. All thoughts belong exclusively to you. Many people falsely believe that hypnosis is a surrender of the will to the all-powerful Hypnotherapist. You are always in control. Experts agree that all hypnosis is self-hypnosis. Hypnosis is based on a condition of trust and cooperation between you and the Hypnotherapist. Hypnosis can only happen with your permission and assistance; when you resist the experience, hypnosis cannot take place. You are not dominated by the will of the Hypnotherapist. You cannot be made to do anything against your will. If you don’t want to experience hypnosis, you won’t. Hypnosis is not a clash of wills. Repeated hypnotic induction does not weaken the mind. The will is not weakened or changed in any way. In university studies, thousands of students have been hypnotized hundreds of times without harm. Authorities agree that if a person thinks or perceives that a suggested command or action will violate his/her moral and ethical principles, or cause detrimental and sexual harm, or threaten survival and danger to the self or others... that person would not respond to any such suggestion. A hypnotized person will not do anything that he/she would not otherwise do in the normal alert states of conscious awareness. Thus, you will not automatically nor arbitrarily commit any anti-social or criminal acts as a result of hypnosis. You cannot be ordered to commit any such horrible act as a result of a post-hypnotic suggestion given in person or by phone, as falsely portrayed in old movies. You will always act consistent with your personal values and beliefs. Studies using an electroencephalogram (EEG) to measure brain waves, establish that the EEG of a hypnotized person is indistinguishable from a person who is relaxed and alert with eyes closed. Hypnosis is not sleep. HYPNOSIS: During hypnosis, you are consciously aware of your surroundings and sounds without distraction. The drowsy sleeplike condition is the result of deep relaxation and suggestions of sleep. A person in deep hypnosis will hear and respond to gentle suggestions. Consciousness is present in hypnosis. A person is capable of thinking, imagining, remembering, and reasoning during hypnosis. SLEEP: A person in deep natural sleep will not hear if spoken to, unless awakened by shaking or shouting. Conscious awareness is completely suspended in natural sleep. Hypnosis is an altered state of awareness. Your conscious mind is resting, and your subconscious mind is more aware. You cannot remain in hypnosis forever, just as you cannot remain asleep forever, as you naturally awaken each morning. If you are left alone at the end of a hypnosis session, you will simply lapse into a natural sleep or return to conscious wakefulness on your own in just a few minutes. If there is an emergency during hypnosis, you will instantly awaken to normal alert awareness. It is impossible to get stuck in hypnosis because you are in control of how long you choose to enjoy this pleasurable state of mind. You can end the hypnosis experience at any time. In hypnosis, you are communicating with your inner subconscious mind. It is the storehouse of all your memories; all you have and will ever experience. You will not have amnesia because the subconscious mind will remember everything for you to reach your goals. Some people who experience hypnosis do not feel as if they have been hypnotized because they don’t immediately remember the entire experience, or they were more aware than they expected. Success does not require cognition, dramatic reverie, intense feelings, unusual phenomena, or profound insight. There are several levels of hypnosis (light-medium-deep-ultra-depth). Success happens on all levels of hypnosis. Expect to be successful as a confident attitude and desire for change helps in reaching your goals with hypnosis. Q:Can Mind Spa Mentor hypnosis programs motivate me to breakthrough my unknown, subconscious blocks to succeed in achieving my goals? A: Yes, Mind Spa Mentor utilizes the latest mind techniques, the most proactive, indepth and powerful process for goal success. A: Yes, Anyone of average intelligence is naturally hypnotizable. Q: Will I remember the suggestions given to me for effective, successful results? A: Yes, You will remember everything you need to succeed. Q: Can I get lost or stuck in hypnosis? A: No, You will always return to your natural, normal state of awareness. Q: Will I simply fall asleep? A: No, Hypnosis is not sleep; you are always aware. Q: Will hypnosis conflict with the integrity of my values? A: No, You will act consistent with your values and beliefs. Q: Am I powerless under the Hypnotist’s spell? A: No, You can resist hypnosis. Q: Can the Hypnotist control me or my thoughts? A: No, You are always in control. Q: Can the Hypnotist make me do crazy things? A: No, You retain the power to keep or reject suggestions. Q: Can hypnosis make me reveal personal secrets? A: No, Hypnosis is not a truth serum, so all of your secrets will remain your secrets.